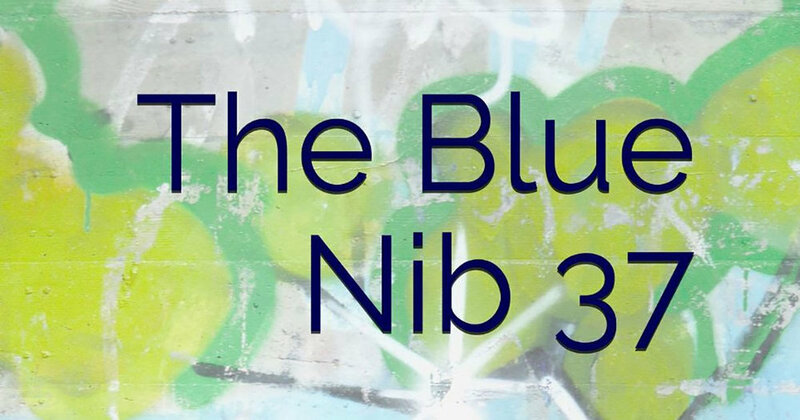 I’m delighted to say that I have been published in The Blue Nib Issue 37, one of the UK’s leading poetry publications. This is a huge milestone in my poetry career, having been writing poetry for just under two and a half years. My poem Kitchen Break was selected and Issue 37 was published in the 15th of March 2019 and is available to buy in print format from The Blue Nib’s website. Poetry has been such an incredible journey for me that has boosted my creativity across all of my skills and activities and has given me a lifelong passion to write. Not only that, but I’m a key member of The Gloucestershire Poetry Society, which in just two years has grown into a nationally respected poetry society with a 2 week festival in the City of Gloucester each year. We help to nurture new writers and provide a safe space for poets of all backgrounds and levels of learning to share their work and refine their work. I provide poetry workshops for the Society and help with strategy, organisation, branding and marketing. My aim with my work is to inspire people to make a positive change in the world and help people to connect with the beauty and power of nature on a deeper level. Poetry is a proven way to help people to deal with a wide range of mental health issues, abuse, grief and injustice and is a powerful tool for creative thinking and expression. Below is my Poem Kitchen Break and I hope you enjoy reading it. The kitchen door burst open as a raging bull grunted and stamped with discontent. He ranted white noise that fell on deaf ears as she played her favourite song on repeat in her head. She didn't want or need to understand him. Rasps, grinds and shrieks tried to pierce her bubble but they may as well have been wet peas squashing in the sink. His breath erupted like a boiling kettle burning, quaking, spewing foul gases into the room. The hissing vapour transformed into butterflies in the mists of her daydream of happier times and she sighed that last breath of summer. His fiery autumn words fell like dead leaves onto the cold tiled floor as he realised a lonely time lay ahead. He knew that she was free of him as he watched her stir grains of frost into her mug. The ring of the spoon against its walls sounded the last chime of their journey together. He left the room, crumpling a snowdrift carpet in the hallway and he picked up his clinking, chained keys and walked through the front door. It slammed shut with a giant thump, like the close of a stone coffin lid in a crypt, but she didn't notice a thing. He was just a ghost of winters past, silently fading away as her lips touched warm chocolate froth and all was good in the world.